Yoga Jellies (shown left) from Yoga Direct are 5.5” diameter gel-filled discs that provide cushioning beneath knees, elbows, feet and hands. Yoga Jellies can help alleviate discomfort that some weight-bearing positions can cause, helping participants ease into postures that might otherwise be inaccessible. Also great for Pilates. What’s cool: The Anti-Gravity Yoga Inversion Swing (shown right) promises to take participants to the next level in their yoga practice. 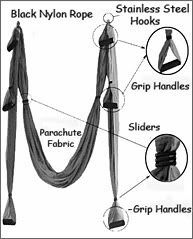 Anti-gravity yoga, inversion therapy, and total body strengthening and stretching are all possible with this multi-functional swing. This particular product is not commercial grade, but it can easily be used in a one-to-one training setting or at home to deepen your practice. Currently out of stock with no estimated arrival of new inventory, the trick is actually getting your hands on one! Tap into the patience and love that yoga brings to your emotional surface and embrace the anticipation of this wonderful product. Namaste! 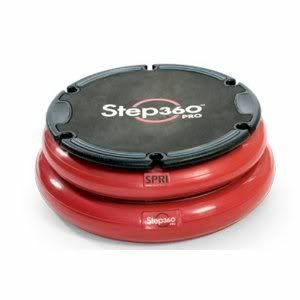 The Step360 Pro combines the familiarity of a step with the challenge of a balance trainer. New exercisers can feel confident stepping onto the flat, non-slip platform, and the height and degree of instability can be controlled by changing the amount of air in the chambers underneath. While SPRI recommends keeping air in both chambers, each one inflates independently. The main rule of thumb is that more air equals more stability, while less air means less stability. Six tubing anchors make it easy to incorporate a variety of strengthening and balance exercises into a Step360 workout. The Step 360’s versatility and wide repertoire of exercises for all fitness levels make it a standout in the balance trainer market. Tomorrow we’ll take a peek at Yoga Direct! What’s hot: SPRI’s Roll Out Ladder was sold out by day two of the trade show, and I wished I had gotten there earlier. Anyone who has ever led a group training session with a traditional agility ladder knows how much it can scoot around on the floor. Well, the designer of the Roll Out ladder definitely had his or her thinking cap on! The ladder is made of a heavy duty, non-skid recycled rubber that resists bunching up. It will stay put on all kinds of indoor surfaces, as well as some outdoor surfaces. Put your order in now! What’s cool: SPRI has dubbed its attractive braided tubing line the “next generation in rubber resistance”, and I have to agree. The Braided Xertube is four tubes woven together into a braided band. Each tube is plugged independently into the connector at the bottom, making it more durable than the traditional Xertube. The Braided Xertubes are still color-coded like the original Xertubes, with yellow being the lightest and then increasing resistance as you progress to green, red, blue and purple. However, the sales rep mentioned that by nature of the braiding, the yellow Braided Xertube will offer a little more resistance than the original yellow Xertube, but it is still easier than the green Xertube. The foam handle is a plus, too, if you are accustomed to the hard plastic handles of the original Xertube. Tomorrow we’ll check out the Step360 Pro! What’s different? 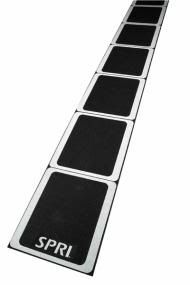 The FreeStyle Step, which has a slightly cushioned surface instead of the traditional ridged top of The Original Health Club Step, is now available from Power Systems in gray/black as well as red/black. If your participants typically use mats on top of their steps when doing supine work, the FreeStyle Step may eliminate that need. For added versatility, the FreeStyle risers can be used to create either a flat surface or slanted positions—no need for separate wedge risers. Tomorrow we’ll check out another fun item by Power Systems! What’s new at Power Systems? There are a couple of new and noteworthy items. Power Systems’ brand of resistance tubing, called Versa-Tubes, are now available in 60” lengths, as well as the standard 48”. 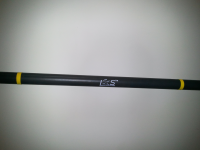 On another note, Power Systems is a distributor for the new “Smart Bar” from Les Mills. The Smart Bar offers a more ergonomic, efficient way to load and unload plates from a barbell than traditional equipment. Watch the video below to see how it works! Tomorrow we’ll check out another traditional piece of equipment that has been made over! Perform Better’s MedBells have rubber bells that can safeguard your studio floor from scratches, and they are all the same size and diameter, regardless of weight. Available in 8, 10, 12, 15, 18, 20, 25, 30 and 35-lb sizes. Tomorrow we’ll check in with Power Systems! 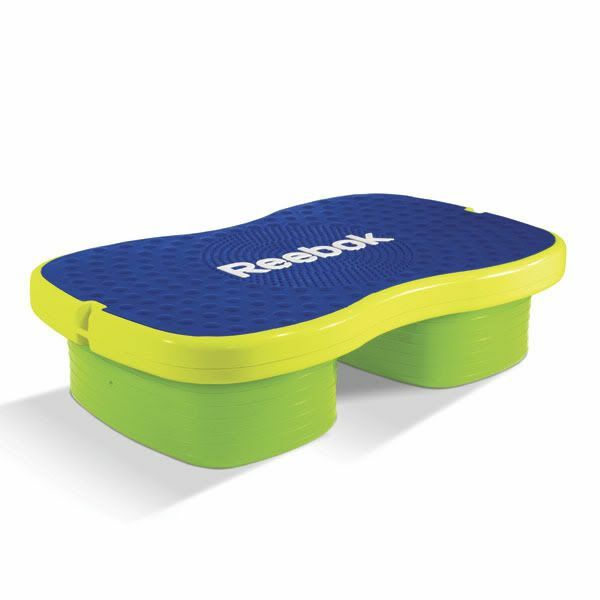 Also new to Perform Better’s line of accessories is the Reebok Easy Tone Step. Group fitness guru Gay Gasper is leading the product launch and hopes to bring more functional training to group fitness. 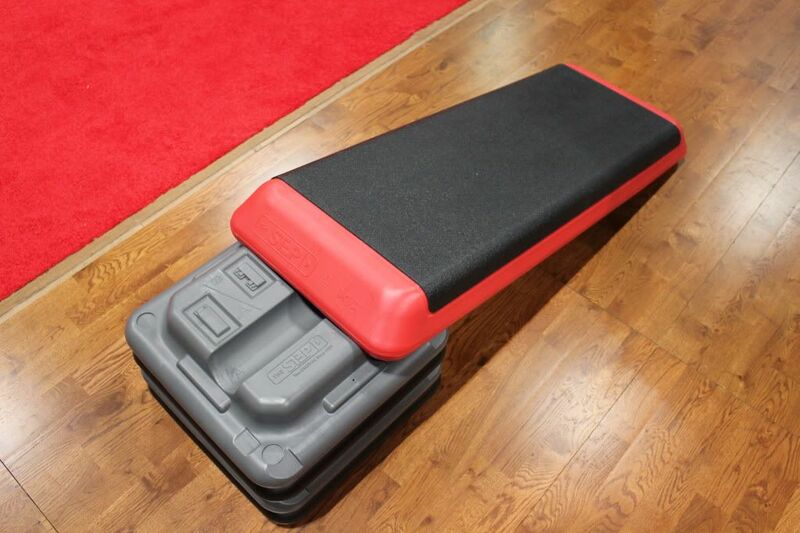 The 25.6”L x 16”W platform sits atop two cushioned chambers, or “pods”, that dictate the stability of the apparatus. The pods are located at either end of the platform, and there is a switch between them that controls airflow. It can be set in a locked position to equalize the pods and create greater stability, or it can remain unlocked and set to varying degrees of airflow to create instability. The platform is reversible and can be used with pods in the upward or downward facing position. Check out this video and see what you think! Tomorrow is one last look at another Perform Better product! There is likely no other company that is as passionate about trampolines as JumpSport. In the 1990s, company founder Mark Publicover was the first to invent and mass market a safety enclosure for backyard trampolines. 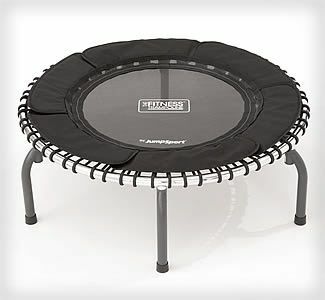 Since then, the company has expanded, and today it offers a selection of fitness trampolines and accessories. A lot of research went into the design and safety features of their mini-trampolines, and a quick look at the product reveals some significant differences from other models on the market. First, there are no springs. The Fitness Trampolines use special elastic cords developed by JumpSport that result in a smooth, soft and nearly silent bounce. It is easy to change the surface tension by adjusting the knot placement on the underside of the trampoline. One of the greatest things about this unit is that it will not tip over—you can do pushups off one side and the unit stays firmly on the ground. There are plenty of accessories to adapt the trampoline for use with different populations and to create a wide range of exercises. 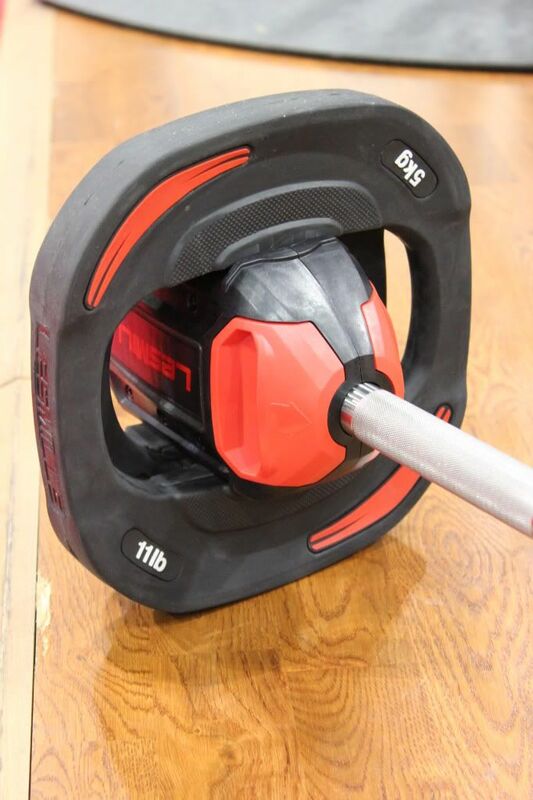 Attaching the Plyofit Adapter allows you to switch from jumping to target rebounding at a variety of angles. The trainer also showed me how to do assisted squats from the angled position. There is an optional handle attachment for increased user stability and safety. The trampolines stack easily, so there is a small footprint if stored in a club setting. One of the models even folds up and has a carrying case if your club takes training on the road. Tomorrow we’ll take a look at the M-Core FTS! 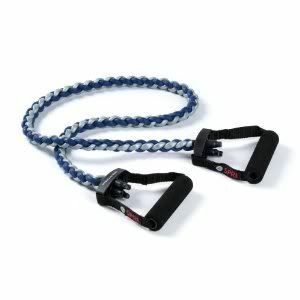 Speed ropes, beaded ropes, cloth ropes—you can find whatever kind of rope you need at Jumprope.com. Their fitness and conditioning ropes, which are 30% heavier than the standard speed rope, are popular for club use. It is even possible to imprint your club information on speed-style ropes and/or produce custom colored ropes. Tomorrow we’ll bound over to JumpSport! The Fluid Core Bar by Innovative Xercise Solutions is one of those “why didn’t someone think of this before?” type of products. Similar in appearance to a traditional exercise bar, it offers a great deal more in terms of challenging balance and stability. The core of the bar is hollow, and there are steel balls inside that will shift when the bar moves. The user must work not only to lift and lower the bar, but to keep it balanced and stable. The full-length bars come in 10, 15 and 20 pound weights, and there is a “mini” bar that weighs 5 pounds. This would be a great training tool for aging populations or those new to exercise. Tomorrow we’ll jump on over to jumprope.com! Farewell Flexed Arm Hang, Hello “Healthy Fitness Zones”!